HomeEnbridge is Pulling a Bait-and-Switch — Will the PUC Finally Take a Stand? Map shows current Line 3 and Enbridge’s approved new route. The PUC gave Line 3 the green light and required Enbridge to write up a detailed tribal economic development plan. Enbridge filed a thin 12-page proposal. In a Jan. 28 filing, Honor the Earth asks the PUC to reject it because the plan is too vague and lacks accountability. Honor the Earth is asking the PUC to demand that Enbridge provide further “clarity, substance, and definition” to the plan. The PUC bungled this process. First, the PUC operates using a quasi judicial process, like a court proceeding. It collects all the relevant evidence and testimony, closes the record, and then deliberates. In this case, the PUC allowed Enbridge to offer its economic development plan after the record had closed. (That’s not supposed to happen.) As a practical matter, what that meant was that the public had no opportunity to comment on or criticize Enbridge’s plan. Second, the PUC gave away its leverage. Since Enbridge has its Line 3 approvals, it has little incentive to create a detailed tribal economic development plan. In short, Enbridge made a big promise to get the vote it needed. And now the company has every incentive to create wiggle room in its vague promises. 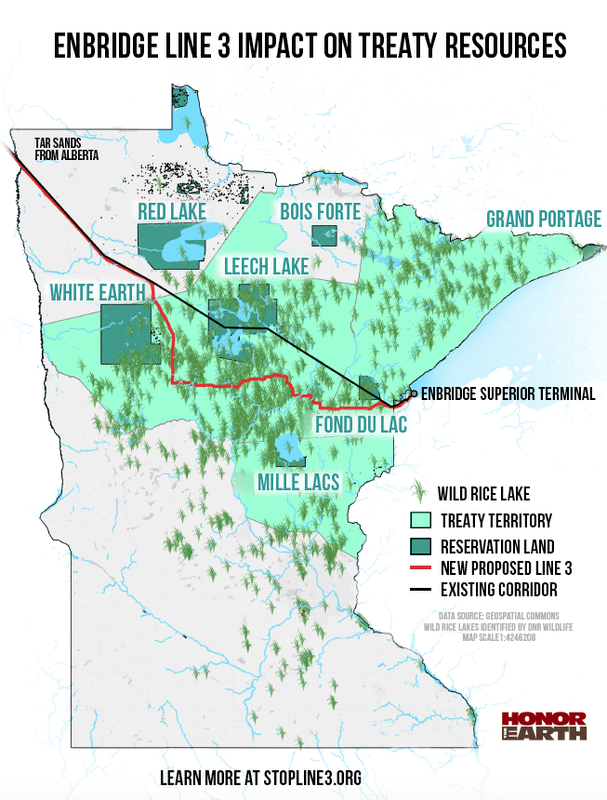 Enbridge has provided a vague promise to invest in Minnesota’s tribal nations, with no clear quota of the $100M dedicated to those tribes, no clear response as to how much of the $100M will directly benefit Enbridge’s Line 3 replacement project, no discussion whatsoever of mitigating the irrevocable damage the Line 3 replacement project holds for these nations, and strong reliance on an Indigenous Peoples Policy that was shown to be woefully inadequate. In the past month, Honor the Earth has sought more details from Enbridge about its tribal economic development plan. According to its filing, it asked for clarity on how much of the $100M would specifically go to Minnesota tribes — and it did not get a clear answer. “The lack of substantive data on the actual investment committed to Minnesota tribal nations demonstrates the shallow, ingenuine nature of the Plan to positively impact Minnesota’s tribes,” it wrote. Enbridge’s plan calls for the PUC to appoint a tribal liaison, but Enbridge will fund that position. That raises concerns of conflict of interest for the liaison, Honor the Earth wrote. The harvesting of wild rice is a treaty-defined right held by the Ojibwe nations of Minnesota –the survival of wild rice is critical to upholding this treaty right. With no clear amount dedicated to the restoration from any damages to wild rice as a result of the Enbridge Line 3 replacement project, the Plan is inadequate and violative of the intent with which it was mandated. Thanks again for a well-written summary of our situation. I will be submitting another LTE on this issue this weekend.